Shocking: Default Listener Methods ain't Dangerous! Where's your Frontend? On a desktop!? Don't rely on Jenkins and co. They hurt your API design skills! Bck2Brwsr 0.23: Get Started via Gradle! Is Spring the Sole Reason why Java is Becoming the new COBOL? JDK11. OMG! Nashorn got Deprecated! Git on Steroids: Fire Your Integration Guy! 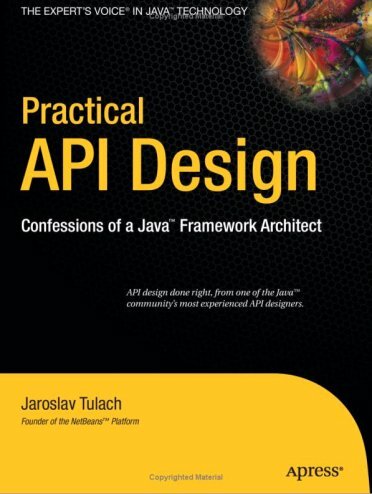 Anyway I'll be thankful if you decide to read the Practical API Design book. Here is few reasons why to do it: Have You Ever Wondered? There are people who found Practical API Design too philosophical. For those, I've decided to follow steps of previous misunderstood philosophers and released shorter summary: 20 API Paradoxes (for dummies). In this book I concentrated on the most critical question: What is the difference between classical day-to-day programming and designing a framework? In the past I'd collected at least twenty of such differences, and because they are a bit surprising, I call them paradoxes. In case you prefer just the final advice, and don't care that much about the journey (e.g. 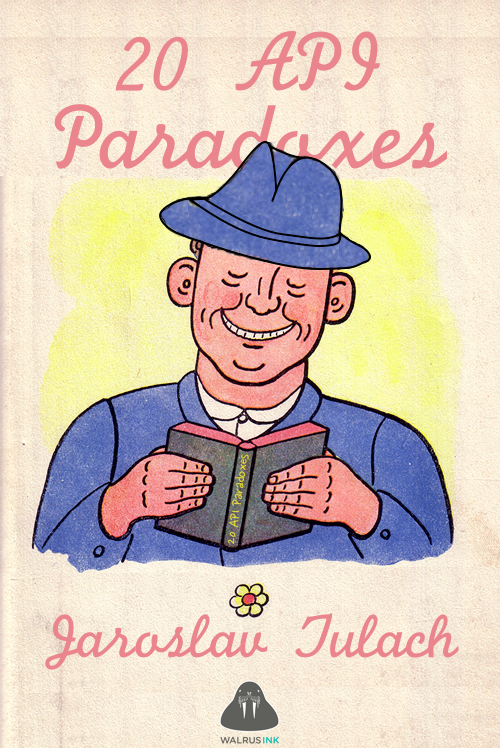 philosophy), consider 20 API Paradoxes.